Material and Finish: "Oil-Rubbed Bronze" powder-coated forged iron on exterior railings and hand-applied finish on interior wrought iron wine cellar door. 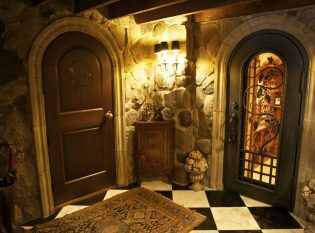 Description: Custom hand-forged iron railings, decorative iron work, and wine cellar door. 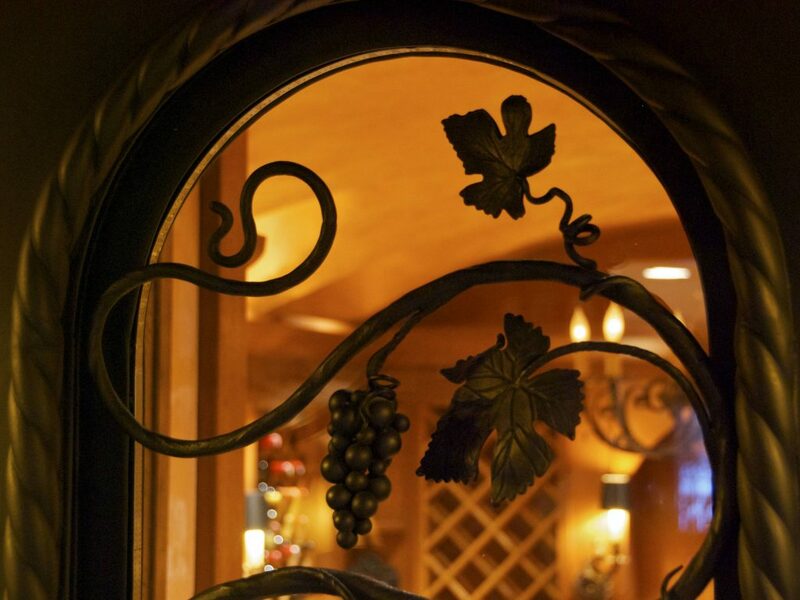 Our craftsmen spent many hours designing and perfecting this hand-forged iron wine cellar door. 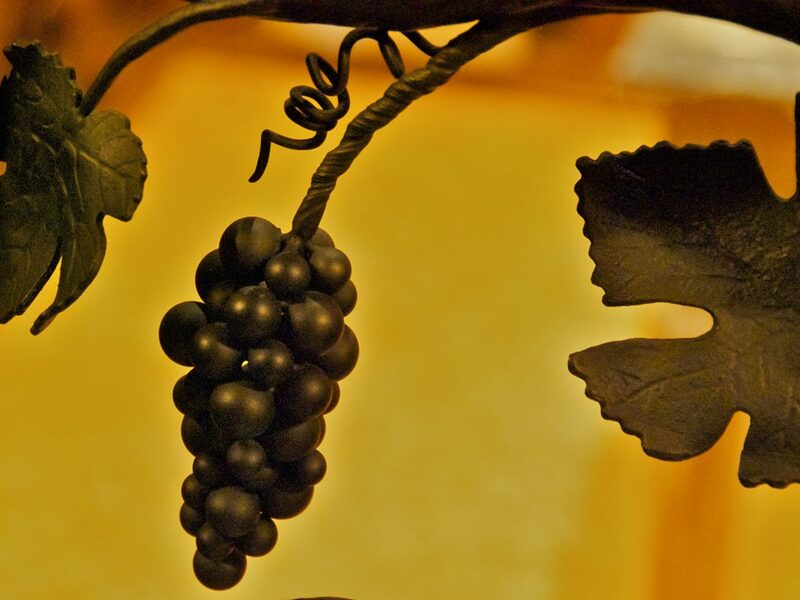 For inspiration, we sent the team to Keuka Lake vineyard to study the shape and flow of the grape vines so our product would look authentic and natural. 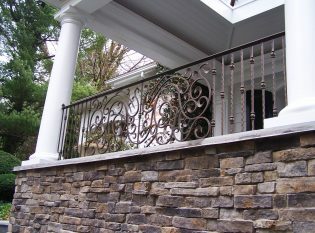 Using hand hammer and power hammer techniques, the Keuka Studios team made this completely custom and functional work of art. We made the grapes by welding together iron balls of different sizes, resulting in unique cluster formations. 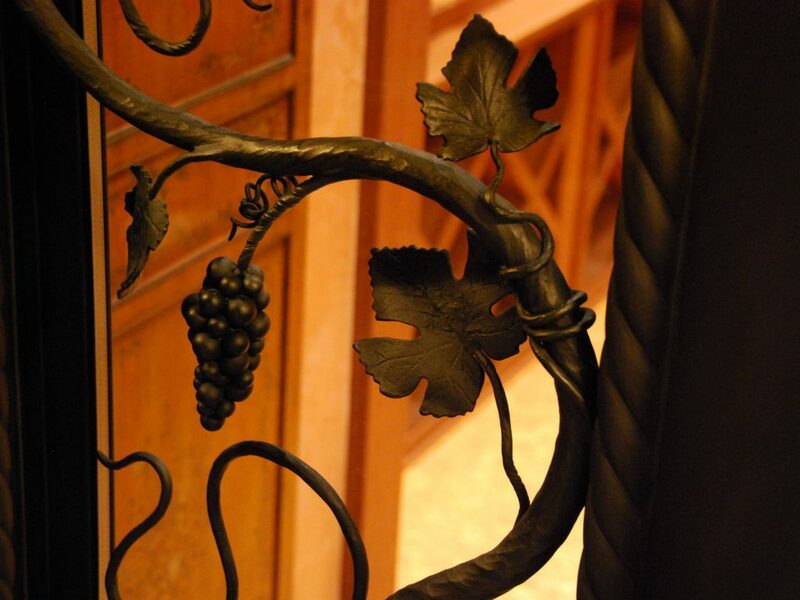 Our craftsmen carefully twisted and textured the steel vines so the door would look perfect. Lastly, we hand applied a bronze patina finish to the whole piece. 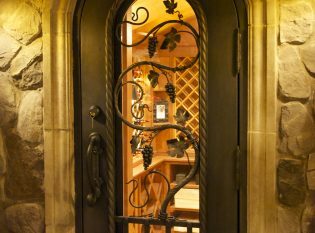 The wine cellar door looks stunning where it sits against an eldorado stone facade. 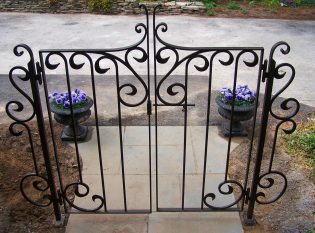 For the exterior of the wine cellar, we crafted some classical iron railings and a matching pedestrian gate. 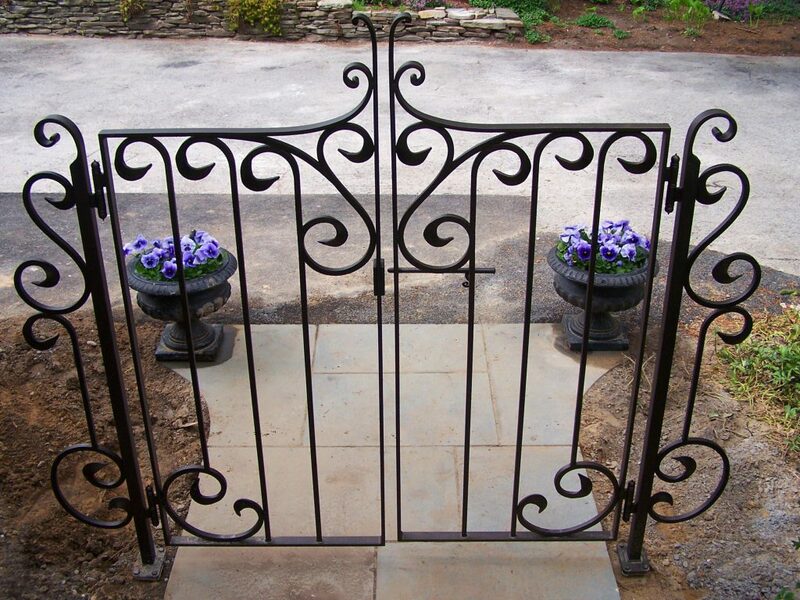 They received an “Oil-Rubbed Bronze” powder-coat finish. 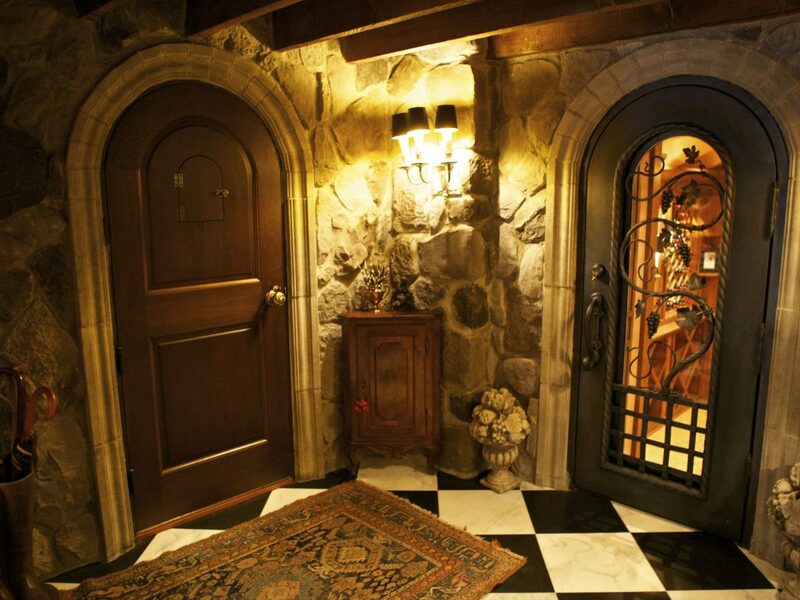 Our client was ecstatic over the end result of the overall transformation of the property. The custom iron wine cellar door won the “Best of Houzz” award.